15 February: U.S. Secretary of State Condoleezza Rice announced a request to spend $85 million to promote political change inside Iran by subsidizing dissident groups, student fellowships and television and radio broadcasts, at a Senate hearing. She further added that the administration had worked out a way to circumvent American Laws barring financial relations with Iran to allow money to go directly to groups promoting change inside the country. 23 March: Ambassador Lyubomir Ivanov, Bulgaria’s chief negotiator, and US Ambassador Sofia John Beyrle confirmed that the two countries had reached an agreement allowing the US military to use several military bases in Bulgaria. 15 May:The United States declared to restore full relations with Libya for the first time in more than 25 years. Washington also removed Libya from a State Department list of states sponsoring terrorism. U.S. Secretary of State Condoleezza Rice further stated that U.S. would soon open an embassy in Tripoli. Previously, the US had closed its embassy in Tripoli in 1986. 18 May:The Bush administration, introduced a draft fissile material cut-off treaty to freeze making of bomb grade fuel across the world, including in India. This draft treaty was introduced at the Conference on Disarmament in Geneva by US Assistant Secretary of State Stephen Rademeyer. 13 June:U.S. President George W. Bush assured Iraqis in a surprise visit to Baghdad that the U.S. stood by them and said “the future of your country is in your hands”. Mr. Bush traveled to violence-rattled Baghdad less than a week after a U.S. air strike killed terror chief Abu Musab al-Zarqawi. 15 June:The U.S. Senate passed a $ 94.5 billion emergency bill to fund the Iraq and Afghanistan wars, and rebuild U.S. southern states after last summer’s hurricanes. As and when Mr. Bush signs the legislation into law, $ 65.8 billion would be rushed to the Pentagon so that it could continue combat in the two countries through September 2006. 1 August:An imagery expert with the Defence Intelligence Agency of the United States, Eric Benn, disputed Pakistan’s claim that it does not have terrorist training camps in its territory. In the trial of 23-year-old Pakistani American Hamid Hayat, accused of terrorism-related charges, Mr. Benn said that there was a 70 per cent probability that satellite images pointed to a militant training camp near Balakot in northeast Pakistan. 1 September:The US military launched an interceptor missile, the first of a mock warhead since October 2002, from Kodiak, Alaska. At a news briefing, Head of the Pentagon’s Missile Defense Agency, Air Force Lt. General Henry Obering said, “Basically, what we did today is a huge step in terms of our systematic approach to continuing to field, continuing to deploy and continuing to develop a missile defense system for the US, for our allies, our friends”. 24 September: A formal appraisal of global terrorism by the United States Intelligence Agency including 16 disparate spy services inside the government attributed a direct role to the Iraq war in fueling Islamic radicalism. The report entitled “Trends in Global Terrorism: Implications for the United States”, compiled by the intelligence agency revealed that the American invasion and occupation of Iraq had helped spawn a new generation of Islamic radicalism and that the overall terrorist threat had grown since September 11. 18 October:Washington Post reported that President Bush signed a new National Space Policy that rejects future arms-control agreements that might limit US flexibility in space and asserts a right to deny access to space to anyone “hostile to US interests”. 9 November: In United States, Democrats regained total control of the Congress by winning 51 seats in the Senate. This left President Bush without Republican congressional control to drive his legislative agenda. Following his Republican party’s defeat in the Congressional elections, Bush said, that he would be open to any suggestions on US policy in Iraq. 16 November:President George W. Bush started a five-day tour of Asia with an appeal to Asian nations to keep up pressure on North Korea to abandon its nuclear weapons programme, and to enforce United Nations sanctions against the country. In his speech at the National University of Singapore, President Bush warned Pyongyang against aiding other nations, particularly in the Middle East, in their pursuit of nuclear weapons. 18 November:A top US investigative reporter, Seymour Hersh said “the CIA found no conclusive evidence, as yet, of a secret Iranian nuclear-weapons programme running parallel to the civilian operations that Iran has declared to the IEA”. 6 December:The 10-member Iraq Study Group, headed by James A. Baker and Lee Hamilton, released its report after an eight month review of the conflict. The report called for the Bush administration to try to engage Syria and Iran in diplomacy as part of an effort to bring stability to Iraq. 19 January: The Indo-U.S. group on civilian nuclear cooperation met for the third time. At the end of the third round of technical talks US Undersecretary of State for Political Affairs, Nicholas Burns, was unwilling to accept India’s position of not to put the fast breeder as an R&D programme on the list of civilian facilities offered for safeguards and inspections by the IAEA. 25 January:Linking the Indo- U.S. civilian nuclear deal to India’s vote at IAEA on Iran, U.S. Ambassador David Mulford said that “no vote” or an “abstention” by India on 2 February would kill the nuclear deal. 8 February:In an extended briefing by U.S. officials on the new Global Nuclear Energy Partnership (GNEP) in New Delhi at the second meeting of the Indo-U.S. Energy Dialogue steering committee, the Bush administration planned to formally invite India as soon as the current Indo-U.S. nuclear deal was signed. 18 February:Indian and U.S. Navies held full-fledged joint-maritime war games off Sri Lankan coast from 18 to 21 February. The two navies executed dissimilar air combat maneuvers with F/A-18 Super Hornets and Sea harriers, visit, board, search and seizure (VBSS) missions, cross deck helicopter missions with Sea Hawks and Sea-Kings and probably most significantly, over the horizon targeting (OTHT). 27 February: Recalling his 29 July 2005 statement in Parliament, Dr. Manmohan Singh said that ‘reciprocity’ was the key to the implementation of the July 18, 2005 civil nuclear understanding with the United States. He further assured the Parliament that no part of this process would affect or compromise the country’s strategic nuclear program. 1 March:Amidst fierce negotiations going on over the Indo-U.S. nuclear deal, United States President George W. Bush landed in New Delhi on a State visit. This was the fifth visit by an American President to India. 2 March:A Joint Statement released at the end of the talks hailed the “successful completion” of negotiations on the separation of India’s civilian and military nuclear facilities. U.S. National Security Adviser, Stephen Hadley, asserted that India, apart from deciding to place its civilian nuclear facilities under safeguards, had agreed to harmonize its export control lists with those of the Nuclear Suppliers Group (NSG) and the Missile Technology Control Regime (MTCR). 21 March: According to a report published in The Hindu, Washington invited New Delhi to appoint military officers to liaison posts in the US Strategic Command (Stratcom). The stratcom, whose area of operation spans the globe, controls all American nuclear delivery platforms, including ballistic missile submarines, B-52 stratofortress strategic bombers, Minuteman-III intercontinental ballistic missiles (ICBMs) and Tomahawk land attack systems. 5 April:In her presentation before the Senate Foreign Relations Committee, United States Secretary of State, Condoleezza Rice, said the Bush administration could not guarantee that even if the nuclear deal with India got congressional approval, the Iran- India gas pipeline would not be built. 20 April:In his first interaction with correspondents at US State Department as South Asian region’s Assistant Secretary, Richard Boucher clarified his position on India’s stand on Credible Minimum Deterrent (CMD). Mr. Boucher had earlier suggested that India defining its credible minimum deterrent was “absolutely necessary.” However, during the interaction he stated that CMD was an evolving concept due to the environment that India was in. 21 April:At the two-day meeting of the India-US joint working group on counterterrorism, India and the US agreed to respond to counterterrorism assistance requests expeditiously and collaborate to upgrade preparedness capability to deal with terrorism. This includes advanced cooperation in the areas of bioterrorism, aviation security, bio metrics, cyber-security, WMD-terrorism, terrorist finance and money laundering. 22 May:In a meeting between Indian Naval Chief, Admiral Arun Prakash and US Pacific Fleet commander, Admiral Gary Roughead, both identified common ground in their operational need to engage the Chinese navy to gain a perspective on Beijing’s long term maritime intentions. The two forces also agreed to institutionalize exchange of operational information in the Indian Ocean Region. 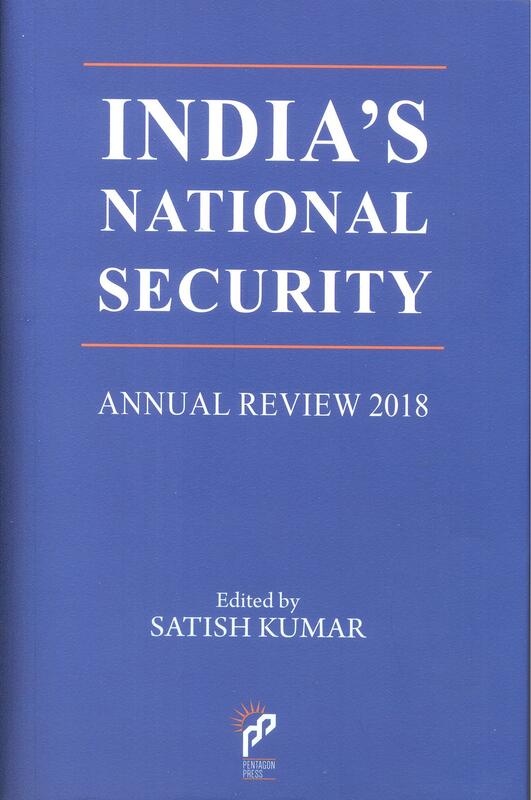 3 June:While attending the Asian Security conference organized by the London based International Institute for Strategic Studies at Singapore, Defence Minister Pranab Mukharjee discounted that China’s military profile was a matter of common interest in India-U.S. dialogue. 5 June:Chairman of the US Joint Chiefs of Staff, General Peter Pace, on a visit to New Delhi to meet senior Indian security officials including Naval Chief Admiral Arun Prakash, hoped that India and the United States would seize the “golden opportunity” to work jointly against terrorist threats. Referring to the Proliferation Security Initiative (PSI), he said it was up to India to weigh the advantages and disadvantages of joining this multi-country effort to curb proliferation of weapons of mass destruction. 22 June:Commerce and Industry Minister Kamal Nath and U.S. Trade Representative Susan Schwab as part of the strategy to double their bilateral trade to $50 billion over the next three years agreed upon an action plan which included an infrastructure investment program that will go into opportunities, incentives and challenges in key sectors like power, roads, ports and airports. 27 June:The House International Relations Committee in Washington strongly supported the legislation on Indo-U.S. nuclear cooperation. 37 members accounting for more than two-thirds of the 50-strong Committee voted in favor of the legislation. 29 June:After the House International Relations Committee strongly supported the Indo-US nuclear cooperation legislation, United States Senate panel overwhelmingly voted in favour of sharing civilian nuclear technology and know how with India. The Senate Committee took just 90 minutes to endorse the U.S.-India Peaceful Atomic Energy Cooperation Act by 16-2 votes. 13 July:India’s Foreign Secretary Shyam Saran and US Under Secretary for Political Affairs Nicholas Burns met in Paris. The two officials discussed some of the difficult elements in the Indo-US Civil Nuclear Cooperation Bill that need to be modified or dropped in the final versions. 17 July:In their meeting in the G-8 Summit in St Petersburg, President George W. Bush assured Prime Minister Manmohan Singh that the Bills being prepared by the US lawmakers for the implementation of the bilateral nuclear deal would not go beyond what the two states agreed upon under the Joint Statement of 18 July, 2005 and the Separation Agreement of 2 March 2006. 26 July:In the Lok Sabha, Prime Minister Manmohan Singh said that the Government was ready to debate the Indo-US civil nuclear deal in Parliament. He also assured the House that India would not compromise on the provisions of the 18 July Indo-US Joint Statement on the civil nuclear deal. 27 July:The US House of Representatives passed the landmark Indo-US Nuclear Cooperation Promotion Act of 2006 by a 359-68 margin. 8 August:The US Trade Representative Susan Schwab announced a review to determine whether to “limit, suspend or withdraw” preferential trade benefits to India, Brazil and 11 other developing countries under the US Generalised Systems of Preferences (GSP). 18 September:Indian and United States conducted a joint anti-insurgency exercise. Indian troops from the Gorkha Rifles battalion were trained with the US 25th Infantry Division members at the Schofield Army Base at Wahiwa, Hawaii. 19 September:The US government offered to sell the Block-II version of the Harpoon anti-shipping and anti-surface missile to India. Christopher M. Chadwick, Boeing’s vice-president and general manager for Global Strike Solutions, said that Boeing was also hopeful of selling its multi-mission maritime reconnaissance (MMR) aircraft, based on Boeing 737 platform, to India, and that Harpoon would naturally be fitted on that. 6 October:Washington shared with New Delhi the evidence of Pakistan’s complicity in the 11 July Mumbai train blasts. In his response to the questions on the blasts in which the Inter Service Intelligence (ISI) and Pakistan based terror groups like Lahker-e-Tayyaba (LeT) have been found to be involved, the US Ambassador David Mulford told reporters that the US and India were together in the fight against terrorism and that Washington had offered its services in investigations into the Mumbai bombings, particularly in forensic examinations. 30 October:The armies of United States and India conducted joint exercise focused on counter-terrorism operations in Belguam (India). 17 November:The landmark India-United States civilian nuclear deal crossed a major hurdle, with Senate overwhelmingly approving legislation to implement it and rejecting five “killer” amendments, including a mandatory commitment by India to stop making nuclear bomb materials and to sever military links with Iran. The Bill was adopted 85-12 margin. 8 December:India welcomed the “outcome” of a joint US Senate-House conference that produced a consolidated bill of civilian nuclear cooperation, but noted that the draft legislation contained some extraneous and prescriptive provisions. The External Affairs Ministry said that the bill was awaiting a favourable vote by the House and the Senate. 9 December:President George W. Bush hailed the passage of a landmark bill in the US Congress, allowing civil nuclear fuel and technology to be exported to India for the first time in 30 years. 12 December:Responding to the concerns raised by the opposition parties and its left allies over the US law on the civilian nuclear deal, the Government said that it had taken note of certain “extraneous and prescriptive provisions” in the legislation. Making identical sou motu statements in both houses of parliament, External Affairs Minister Pranab Mukherjee asserted that the Government was clear its strategic programme would remain outside the purview of the bilateral cooperation accord, the 123 agreement, to be worked out with the US. 18 December:Prime Minister Manmohan Singh reasserted that he stood by the commitments made to parliament on the Indo-US nuclear deal and promised the Lok Sabha that making the July statement a reality would not be at the expense of vital national interests. 21 December:President Bush signed a new legislation that extends the US Generalised System of Preferences programme that provides preferential duty free access to specified goods from the developing world, for two more years till December 31, 2008. Under its new revamped dispensation, the United States extended preferred status to Indian exports.